What style of clothes do people wear in Grenada? What clothing should I pack? Grenada is a spice island in the Caribbean. When considering what kind of clothing to pack, I always recommend that travelers pack clothing that their comfortable in and they think looks good on them. My first few trips I would pack clothes that I thought I should bring (like long skirts) but would never wear because, in reality, I didn’t like them. In Grenada, tourists tend to love heading to the beach, so be sure to pack a swimsuit or two, as well as sundresses, flip flops, shorts, t-shirts and tank tops. 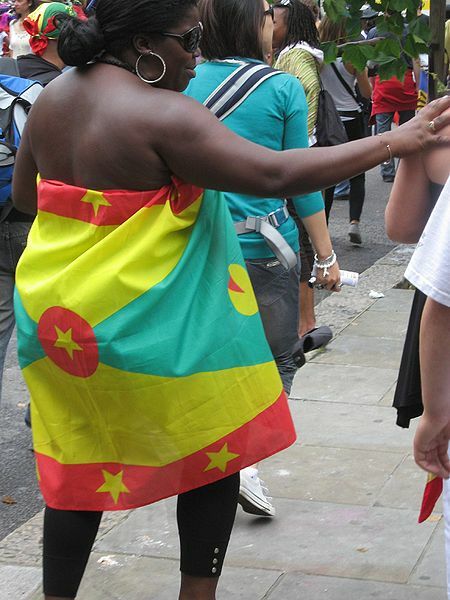 However, unlike some laid back cultures, Grenada can be conservative. It is considered rude and inappropriate to wear beach attire when going out to a restaurant, bank, shops or just walking down city streets. Bathing suits (even with a sarong wrapped around them), low cut clothes and booty shorts should be avoided. Many Grenadians will dress neat and conservative with button down shirts and long slacks. Try to bring clothes in light colors made out of breatheable fabrics like cotton and linen, this should help keep you cool. There are plenty of outdoor activity possibilities, and if you are planning to do some hiking, you should pack some hiking boots. A long sleeved shirt might be useful for cooler nights and mosquito protection. A light rain jacket is also recommended. Finally don’t forget to bring your sunglasses and hat, to protect yourself from the Caribbean sun.